Coastal Gallery Lymington stocks a carefully selected range of hand-made studio ceramics by contemporary ceramicists based in Lymington, Milford-on-Sea, Sway, Christchurch and Salisbury. The range features porcelain and stoneware bowls by Jackie Giron: porcelain bowls and vessels by Gail Gulland, Claire Hincks and Steve Neville and home ware, including jugs, wine coolers and salad bowls, by David Rogers. Alongside, are unique vessels by new artist, Arkadiuz Nowick. Bev and Stewart love working with customers to create bespoke Wedding Lists from the ceramics collection, or to suggest specific pieces for particular occasions and events. 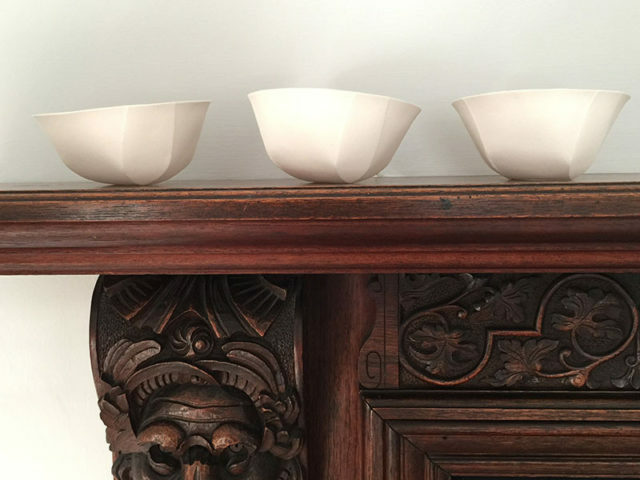 Prices range from £30 for a small porcelain bowl to £195 for a statement piece by Jackie Giron. Jackie just loves making pots – a passion that began at Southampton College of Art when she was seventeen. She now has her own studio in the New Forest. 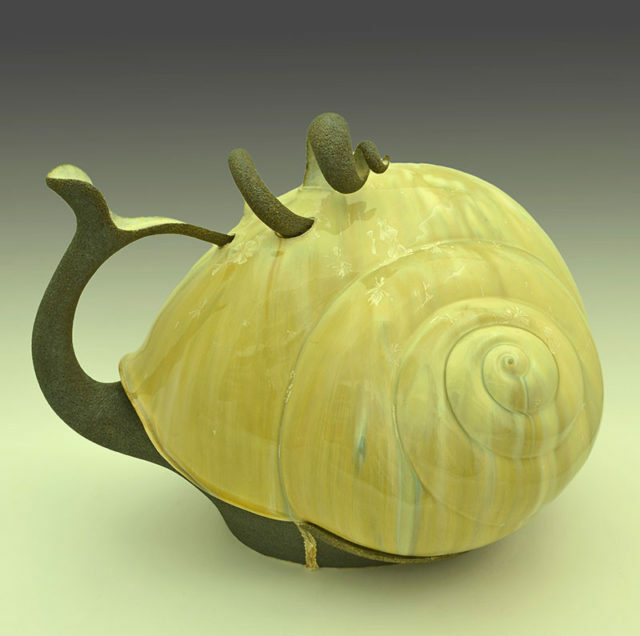 Jackie has exhibited throughout the UK and won prestigious ceramics awards for her stunning work. She is influenced by the work of Dame Lucie Rie, and produces hand thrown porcelain and stoneware bowls of all sizes. Jackie’s bowls are decorative, rather than functional, and inspired by the rock pools, geological strata, quality of light and colour of the sea, unique to the Hampshire and Dorset Coast. 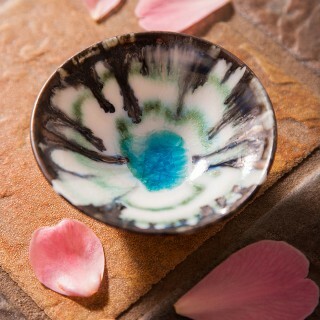 Coastal Gallery is delighted to stock a wide range of Jackie’s bowls. Please contact us re availability and prices. Gail has recently built a wonderful new studio in Lymington. She works mainly with bone china and porcelain, using a process called slipcasting. 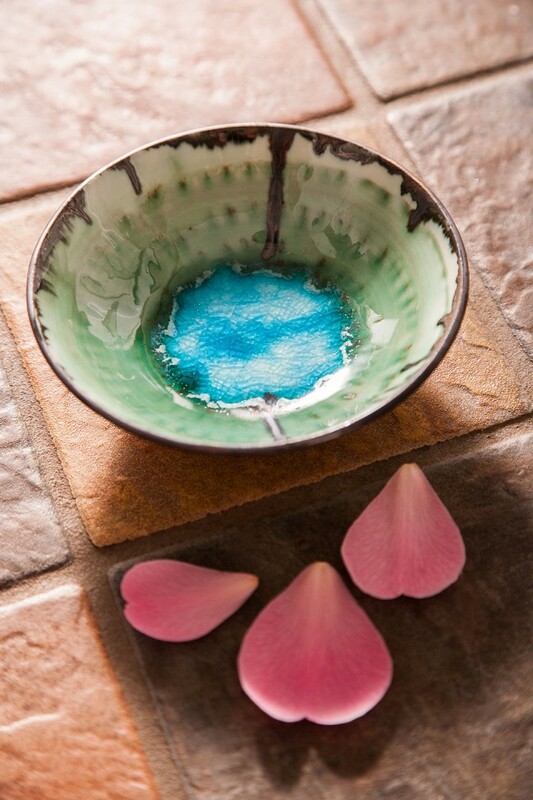 Gail loves the translucent quality of the clay, and combines the clay with paper in the final firing process. This technique produces delicate textures and differing degrees of transparency within the final pieces. Coastal Gallery is delighted to stock a selection of Gail’s beautiful white vessels. When Arkadiuz first approached Coastal Gallery, Bev and Stewart couldn’t quite believe their eyes – wonderfully ‘larger than life’ eccentric jugs and vessels in rich earthy colours, each piece with a life and energy of its own, emerged from bubble wrap! Born in Poland, Arkadiuz now lives and works in the New Forest. He creates his vessels from white stoneware clay, a strong and resilient medium. His desire is to create unique pieces that will stand the test of time, and which he can ’leave behind in the world’ for future generations. The spectacular vessels have a scale and energy that draws attention, not only to them, but also to the space they occupy. Arkadiuz builds each piece by hand and decorates the amazing sculptural forms with crystalline glazes to create textural layers and colour contrasts. Inspired by nature and using rich blues, ochres, greens and greys, Arkadiuz’s glazes become fluid art forms in themselves. Coastal Gallery is privileged to feature Arkadiuz’s unique work – contact us for details and prices. Jo’s first degree was in Printed Textiles, followed by an MA in Ceramics at the Royal College of Art in London. Whilst there, Jo applied her distinct drawing and design style to ceramics, in particular, porcelain. Using a unique process of drawing with layers of coloured slip prior to casting and firing, Jo creates magical ceramic pieces with extraordinary detail. The scale of her work ranges from buttons, brooches, earrings and tiles to large-scale tiled panels and mosaics for public spaces. Fascinated by found and natural objects and by narrative, Jo weaves magical imagery and stories into her meticulous work. Her pieces are in collections throughout the world, and her public commissions can be seen in retail centres, schools and hospitals in the UK. 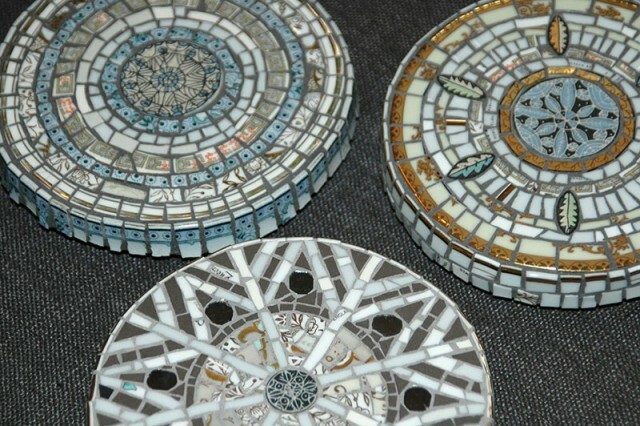 Coastal Gallery is delighted to stock a collection of Jo’s jewellery and small mosaics. Prices range from £30 for a small brooch to £200 for a wall mosaic.